Bearing Witness to Christ and to Each Other in the Power of the Holy Spirit. Speech at Global Christian Forum Meeting in Manado, Indonesia 4- 7 October, 2011. 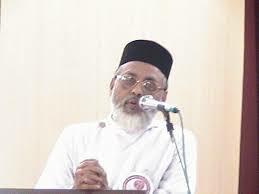 Speech about “Explorations in to the horizon of faith” at Sophia Centre, Kottayam on May 28, 2013. Fr. P. P. Geevarghese Ikkarappadavil Memorial Speech. Speech about “Penmayude Nanma” at Devalokam Aramana. Devotional Sermon at St. Gregorios Church USA (March 2013). Sermon during the Holy Qurbana at St. Gregorios Church, USA (March 2013). Speech About Mathews Mar Barnabas Metropolitan. Speech about Solar Energy at Pampady Dayara on April 5, 2013. Speech at Houston TX on July 21st, 2012. Dr. Paulos Mar Gregorios Memorial Lecture at Medical College, Kolenchery. Mylapra Mathews Rampan Memorial Speech. A Lecture about Dr. Sukumar Azhikodu. Dr. Geevarghese Mar Osthathios Memorial Speech, Orthodox Seminary. Dr. Geevarghese Mar Osthathios’ Funeral. Condolence Speech. Orthodox Pastoral Education Network (OPEN). Leadership Training Camp. Sophia Centre, Kottayam July 10-11. Dr. Sukumar Azhikodu Trust. Adhunika Vichara Silpikal 09. Prabhashana Parampara by Fr. Dr. K. M. George. Sept. 28, 29 at DC Auditorium, Kottayam. Sukumar Azhikodu Trust. Aadhunika Vichara Silpikal PrabhashanaParampara, Oct. 2-4, 4.30 pm, Pathanamthitta Town Hall.